Dr. Birkmeier-Fredal spent the first 10 years of her medical career as a board certified Family Medicine Physician. 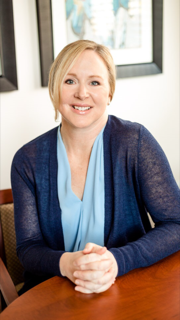 In 2010 she shifted the focus of her medical practice to Functional and Integrative Medicine and now provides Restorative Medicine Consultations to patients of all ages. She received her Bachelor in Science from the University of Michigan in 1993 in Cellular and Molecular Biology. As an undergraduate she participated in genetic research, where she gained a keen understanding of how the smallest molecular change can result in major physiological abnormalities. She has been fascinated by this concept ever since. She received her MD from Michigan State College of Human Medicine in 1998. She chose this program due to their focus on the bio-psycho-social model of healthcare. The idea that the whole patient must be understood in order to achieve true healing was reinforced. 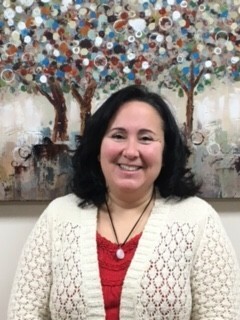 In an effort to practice true holistic medicine, she completed a Family Medicine Residency at Henry Ford Hospital in 2001. As a Family Physician she was dedicated to practice within the bio-psycho-social model, and while she was very good at gaining a full understanding of her patient’s experiences, she realized that the conventional medicine “tools” she had been given were often not working. This was most apparent when it came to the management of chronic disease. She came to the conclusion that she wanted to go beyond merely screening for disease – she wanted to actually find ways to prevent it. It was on her search for a new effective medical “tool chest” that she discovered Functional Medicine in 2005. She was impressed by the evidence-based therapeutic nutrition strategies that are employed by Functional Medicine practitioners. Functional Medicine Physicians change their focus from a disease-based model to a wellness-based treatment program. They focus on the finding and treating the root cause of a patients illness, rather than merely treating symptoms. In order to become an expert in this new field she participated in training programs through the Institute of Functional Medicine, the American Academy of Anti-Aging Medicine, International College of Integrative Medicine, and the Medical Academy of Pediatric Special Needs. 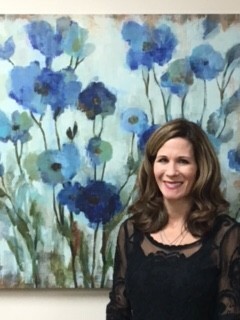 She opened up her own private Functional Medicine Practice in January 2010, and later that year took a part time position at the Fibromyalgia and Fatigue Center (FFC) in Troy where she was given the opportunity to work with Functional Medicine Physicians around the country, including Medical Director Dr. Jacob Teitelbaum – author of From Fatigued to Fantastic. It was here that she was trained in identifying and treating stealth infections – an often overlooked but very common cause of chronic symptoms. In 2012 she completed training through ILADS with Dr. Daniel Cameron in New York, and since then has attended multiple ILADS conferences to stay up to date on the latest strategies for stealth infection treatment. 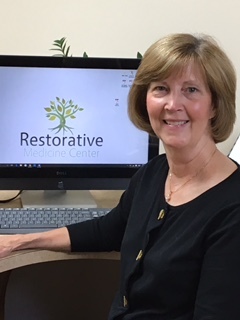 She now utilizes her Restorative Medicine Model – a combination of Functional Medicine Principles and immune system optimization – to restore her patients back to a state of optimal health and wellness.